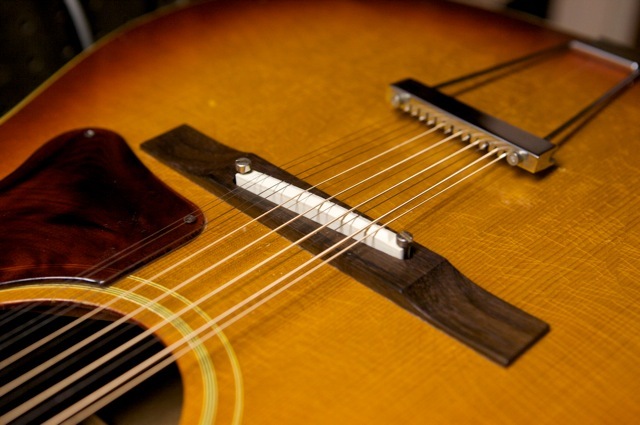 Here’s a cool product I recently found very helpful for vintage Gibson acoustic guitars with the adjustable bridge. These guitars originally came with either a wooden saddle (one of Gibson’s brilliant ideas, from the 60’s) or ceramic. I much prefer the sound of the ceramic version, because it gives a brighter sound, much like a traditional bone saddle, and it doesn’t wear as easily as the wood version. Unfortunately, finding and purchasing a vintage ceramic replacement can be very difficult and quite pricey. I’ve seen people ask way too much for these. 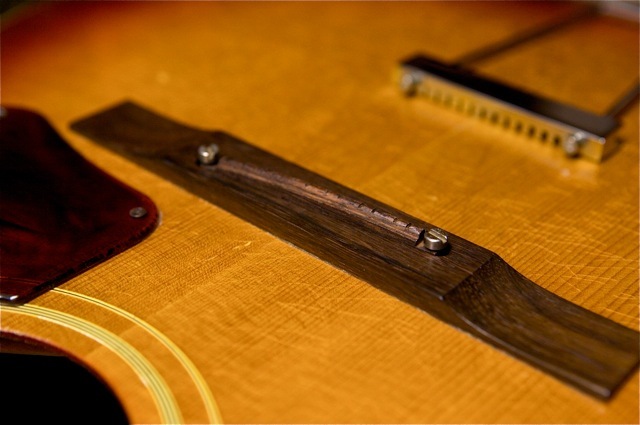 Some owners choose to completely remove the adjustable bridge system, fill in the entire original slot with rosewood and install a stable saddle in its place. I’ve never been a fan of doing this to otherwise perfectly original instruments. I’m very opinionated about being good stewards of vintage instruments. 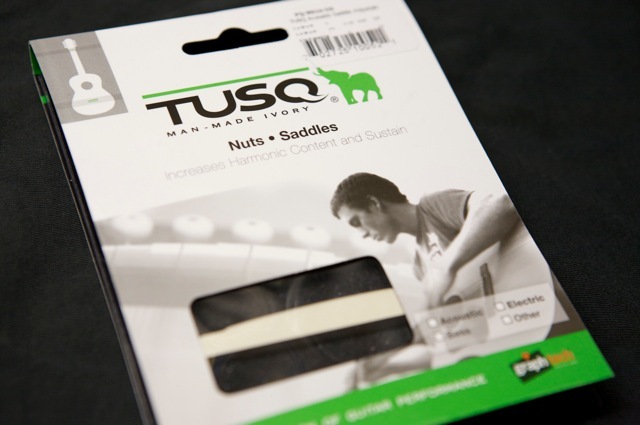 The folks at Graph Tech; mostly famous for graphite replacement saddles for electric guitars and “TUSQ” material for acoustic guitars, have created a great alternative to the pricey, and elusive, ceramic saddle. It is made with their “TUSQ” material and costs only $12.95. We went with it and the results are quite impressive. I am now keeping them in stock, so let me know if you need one installed! 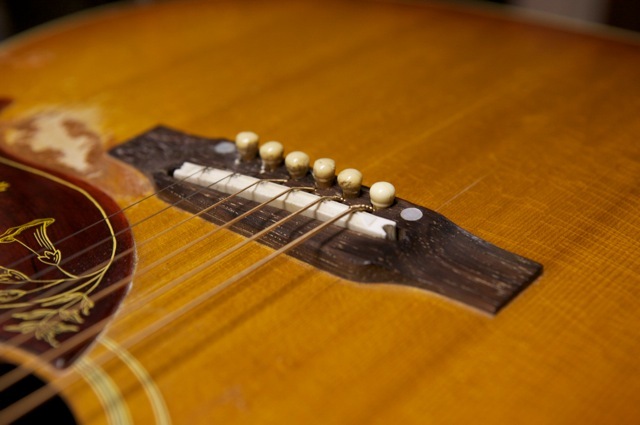 What is your opinion on bone vs. ivory (even mammoth tusk) for acoustic saddles or an electric nut?